And increasing demand will put further upwards pressure on rentals … thereby, encouraging more developers into the market. 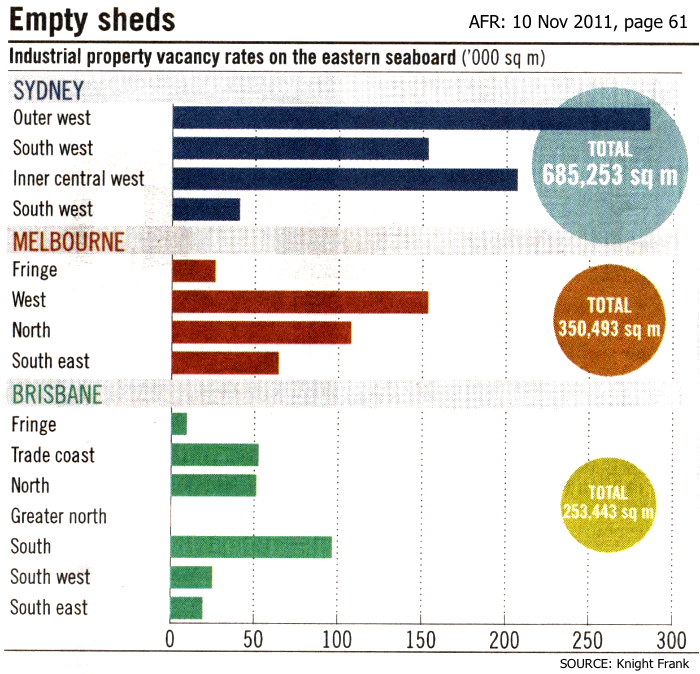 While the Brisbane market is gas-driven … Melbourne (which is Australia’s largest industrial market) enjoys a much wider tenant profile. 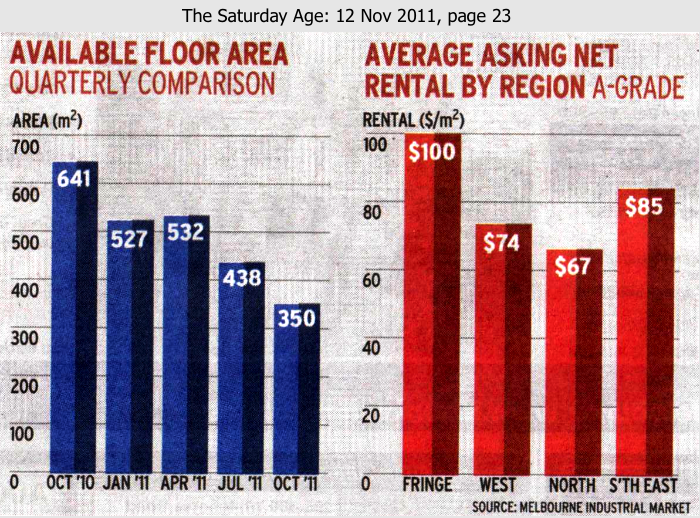 As such, its increase in speculative A-grade buildings has been readily absorbed, over the past 12 months. Sydney, however, his languished somewhat — with a cautious market showing an even split in the take-up, between A & B grade facilities. Bottom Line: Industrial property is poised for some good rental and capital growth over the next few years, as yields start to firm. But given the relatively short construction period involved, supply levels can quickly change. Therefore, make sure you keep a close eye on adverse interest-rate movements down the track — as this can effectively dampen demand very quickly.